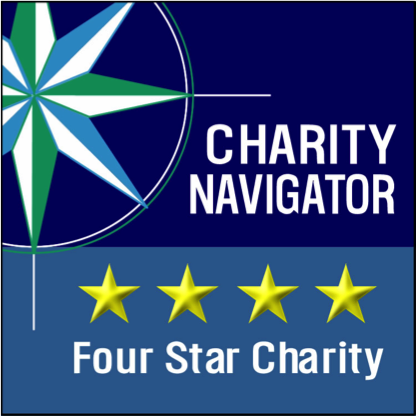 Mercy Multiplied has earned the most coveted 4-star rank from Charity Navigator, America’s largest independent charity evaluator. Due in part to Mercy’s sound fiscal management and commitment to accountability and transparency, they’re placed among a select, high-performing quarter of top rated charities for the tenth time. In its 35 years of existence, Mercy Multiplied’s residential program has provided hope and healing to thousands of young women struggling with life-controlling issues. Since 1983, Mercy has operated on its three foundational principles: (1) accept girls free of charge; (2) always gives at least ten percent of all donations to other organizations and ministries; and (3) do not take state or federal funding or any money that interferes with the freedom to share Christ. High-performance evaluations like those of Charity Navigator help highlight the success rate and financial health of organizations like Mercy Multiplied and with more than 1.5 million charities in America, donors can have confidence in their charitable decisions. Further information about Mercy’s rating can be found here. If you wish to make a donation to Mercy, please click here.